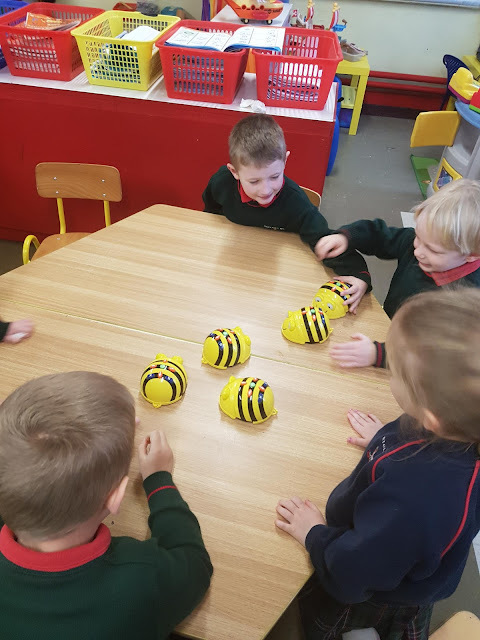 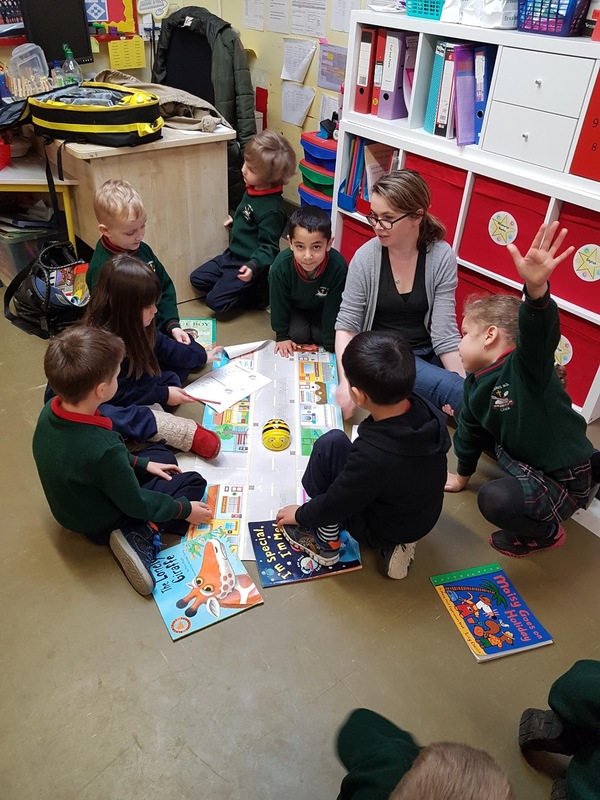 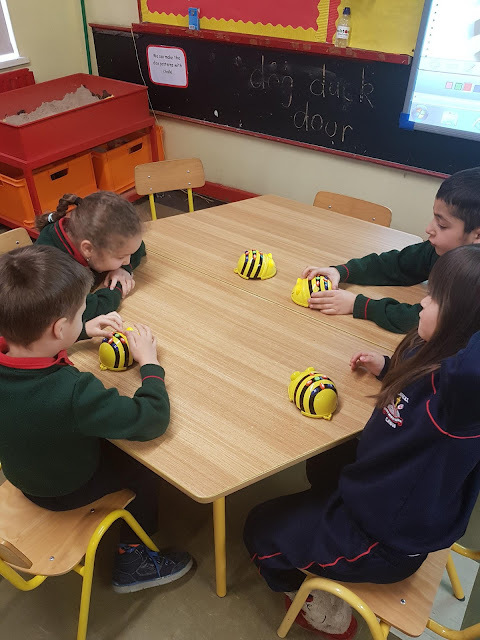 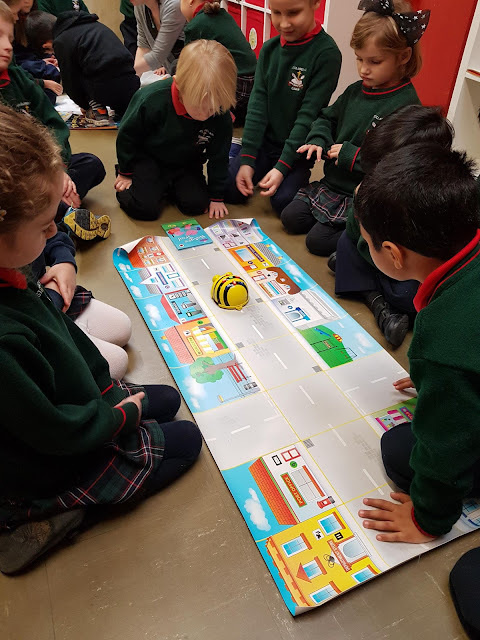 Room 3: We brought our Beebots to the town to go shopping! 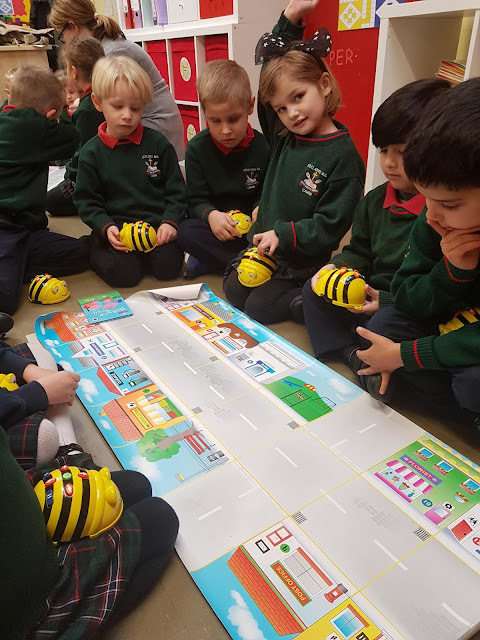 We brought our Beebots to the town to go shopping! 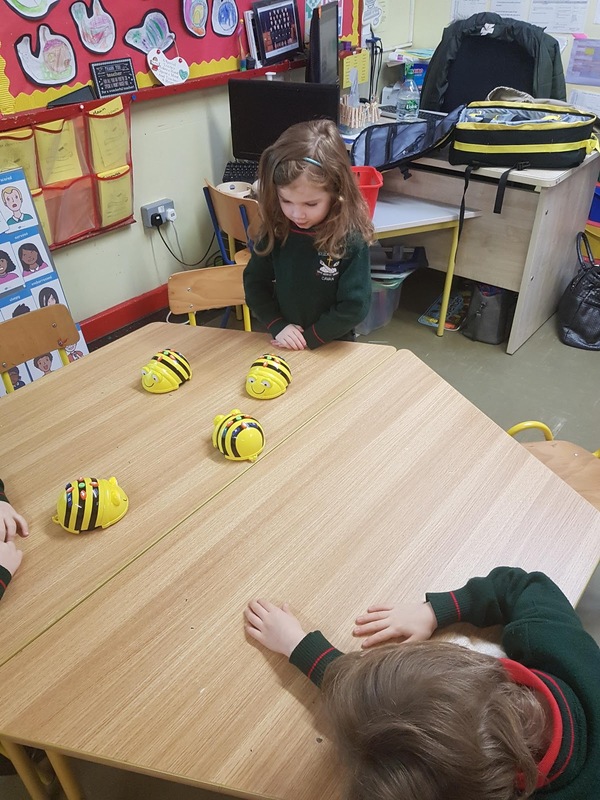 We are writing our own sentences! Shopping lists for the toy shop! Ta se ag cur sneachta!